As you may have already heard, IE Business School gives students the opportunity to engage in exciting extracurricular activities. Ultimately, engaging in the i2i Consulting Lab is a good way for IE Business School students to gain a wider perspective of the business world and make the best out of their MIM experience. For the February 2018 intake, the chosen company was IKEA and all participating students were given the opportunity to compete in finding an innovative answer to a question posed by IKEA. 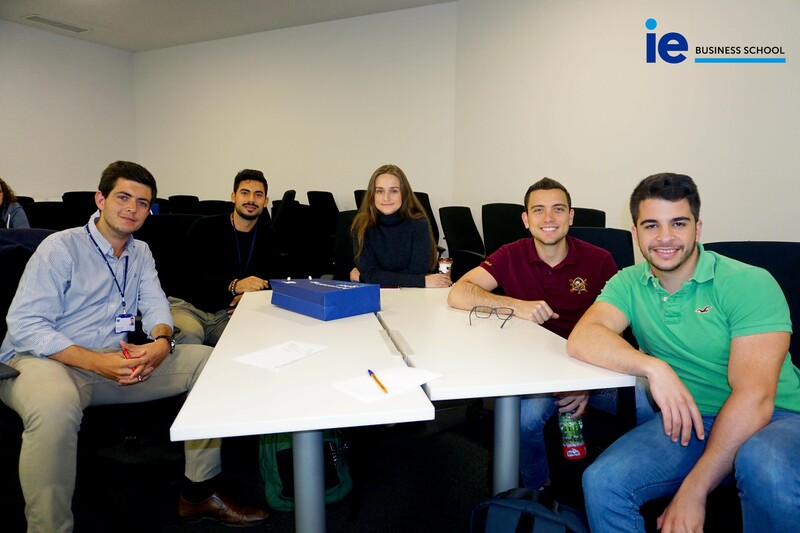 The June 2018 i2i Consulting Lab lasted four days and was held from Monday to Thursday, 11th to 14th of June and held at IE Business School’s campus. Students from other Business Schools in Europe were invited to join the challenge, making up for nearly half the participants. Teams from top business schools generally compete against others making for a dynamic competition in front of a panel of judges. Q: What was the experience like? I think many people expected that we would be working on developing a new product design, such as a chair or table, when they heard we would be working with IKEA. However, this was going further, questioning how IKEA could become part of communities around the world. We were given global trends to focus on, such as the aging population and increased urbanization. The focus of the challenge was using Design Thinking, and mentors from IE and IKEA who are experts in this field explained it to us. It was an intense four days, where everything was carried out in English but knowing Spanish helped you. We had long work hours from 9am to 7pm, including sessions with mentors about theory explaining what exactly design thinking is and meetings with my team members to brainstorm and implement what we had learnt. There were approximately 13 teams, of 5 to 7 people per team, mixing MIM students with ones from other business schools in Europe. In my team, we were three MIM students and one Spanish student who studied in Ireland and one Italian who studied in Germany. My team came up with a platform to rent IKEA furniture, targeting expats and exchange students who are not interested in buying furniture. We did our market research for Madrid but our idea would be scalable to other cities and countries. Most teams came up with platforms that connected users with IKEA products, but the winning project was a café where all of the furniture would be from IKEA, making it possible to scan furniture and buy it. On the final day, the panel of judges gave away Gold, Silver, Bronze Medals and special prizes for most innovative project etc. Some groups won gift cards or an IKEA light bulb as a symbolic prize! Q: Why did you decide to participate in the i2i Consulting Lab challenge with IKEA? I am determined to go above and beyond to learn and show that I am interested in being here in the Master in Management and making the most of my IE experience. I also got the opportunity to work with people from other business schools, and show off what MIM students can do. Q: What was your favorite part about the competition? Learning about Design Thinking, which is why I chose to participate in this optional activity. I had the opportunity to learn about something that we had not yet covered in the core period and immediately apply it to a real case study. Design Thinking is very useful because it can be implemented in most projects and processes in most companies. It was hard work, but I’m happy it was. Q: What is your key takeaway from the challenge? By learning how to implement this technique, Design Thinking, and working on a real project from a real company, I got a real-life experience implementing things I had learnt in the MIM and will be able to showcase this to future employers after I graduate. I will definitely be putting this experience on my CV! Q: Why is it worth it getting involved in extracurricular projects like this during the MIM? I got an opportunity to network with mentors and representatives of IKEA, which is such a global success story, and students from my intake and other business schools in Europe.